Today would have been Marilyn Monroe’s 85th birthday. She was, and still is, kind of an icon. Perhaps for the acting, but maybe more so for her body. 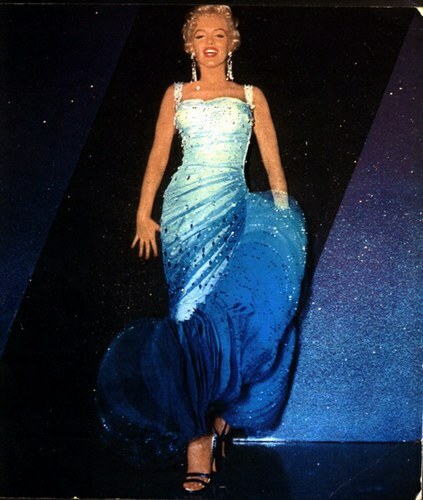 Even Nicole Kidman has said she wishes she had a body like Marilyn’s. I think there is some dislike for bigger women out there, but maybe not quite to the epic degree a lot of people think. The world is coming around, perhaps not out of choice. Rising obesity and such. In any event, I could not be more thrilled. There have been times in my life when I wasn’t so willing to embrace the body nature apparently wants me to keep. I don’t mean that in an emo way. Not like I spent hours in the mirror calling myself fat or anything. I just went through periods when I thought I could fix a lot of stuff. Moreso than ever, I’ve been all about the love. I used to wear looser shirts because I really didn’t like the way this silhouette played out. But I love it now. I freaking love it. I’ll rock the pencil skirt and tighter shirt because it makes me feel well. It’s not so much the body you’ve been given but how you use it, so to speak. It’s a matter of perception; if I am totally okay with my body, it’ll show. You could drive yourself crazy trying to whittle down to an exact weight. I’ve been there. Now I just workout for health. I don’t care about reaching a certain size. I can do a 5K like anyone else. I don’t feel any less fit than a skinny chick. Today, we can look to fabulous women like Christina Hendricks as an example of how to rock what you’ve got. I used to be really self-conscious about everything from the size of my chest to the size of my hips. Not anymore. I wouldn’t trade this for anything.